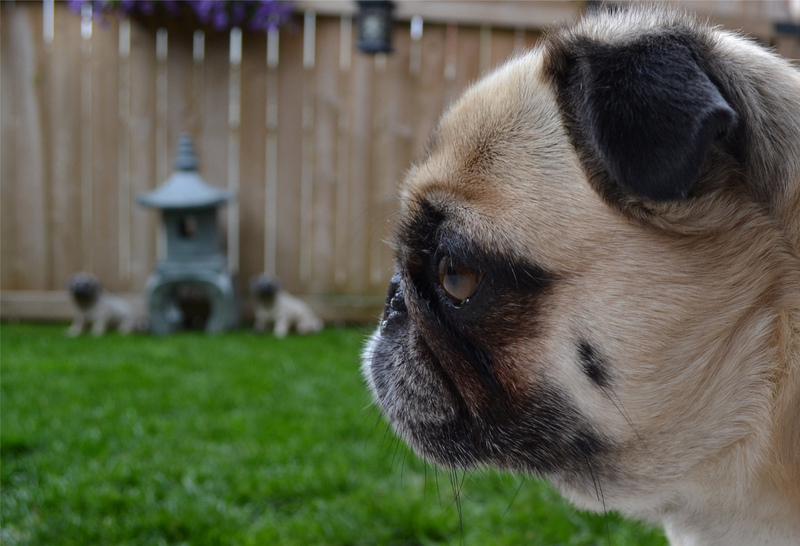 Have you ever noticed your pug staring very intently at something for an unusually long amount of time? We notice Nickie doing this frequently, and we can’t help but wonder what is going on in her mind. What is so fascinating about the floor or a tree that she just can’t take her eyes off of it? We like to imagine that she is thinking deep and important thoughts, although it’s probably more likely that she is just struggling to stay awake.